For 24-hour emergency tree services, we will never let you down. Experiencing any disaster to your property is devastating enough; don’t add to those woes by trying to move heavy trees and branches from your property. 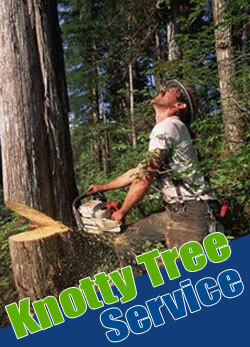 At Knotty Tree Service, we will give you peace of mind when you need it most, during these disasters. Leave that work to us, and rest assured, with peace of mind, that your property will be restored in no time. Rapid Response: 24-hours a day, seven days a week, we are available to respond to your tree emergency. Priority Care: If you have a severe emergency, we will put your needs at the top of our list. 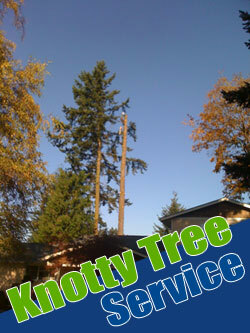 You won’t have to wait with Knotty Tree Service. Assessment and Action: We will assess the situation on your property and get straight to work. All of our services are performed with safety in mind, and we’ll take extra precautions to give you peace of mind. You can rely that we’ll be there when you need us, to give you peace of mind. Call us for rapid-response service.